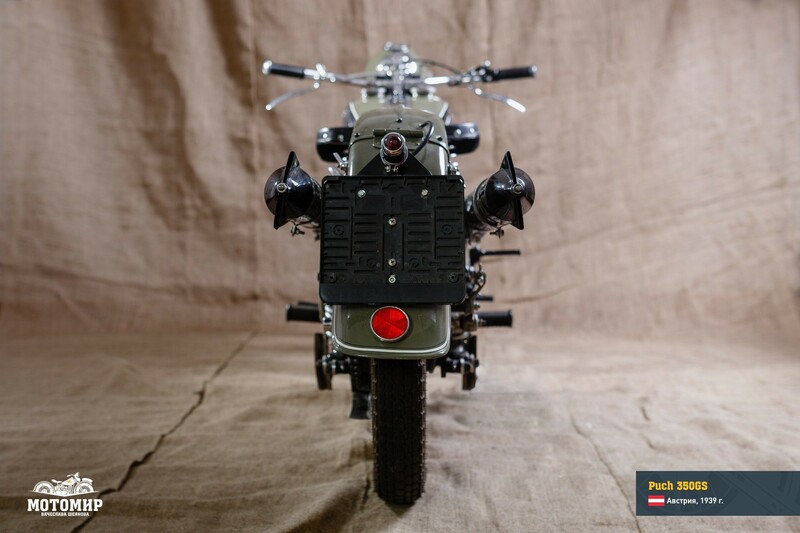 Puch 350GS - Мотомир Вячеслава Шеянова | This work is licensed under a Creative Commons Attribution-NonCommercial-NoDerivatives 4.0 International License. 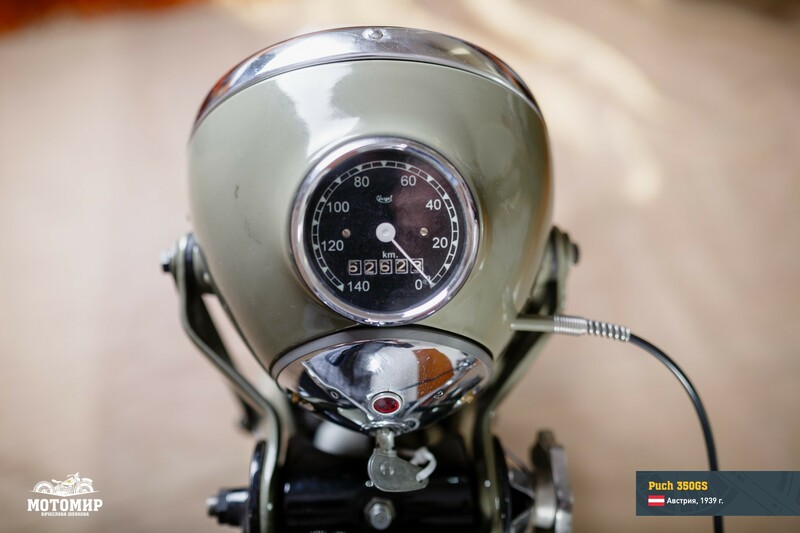 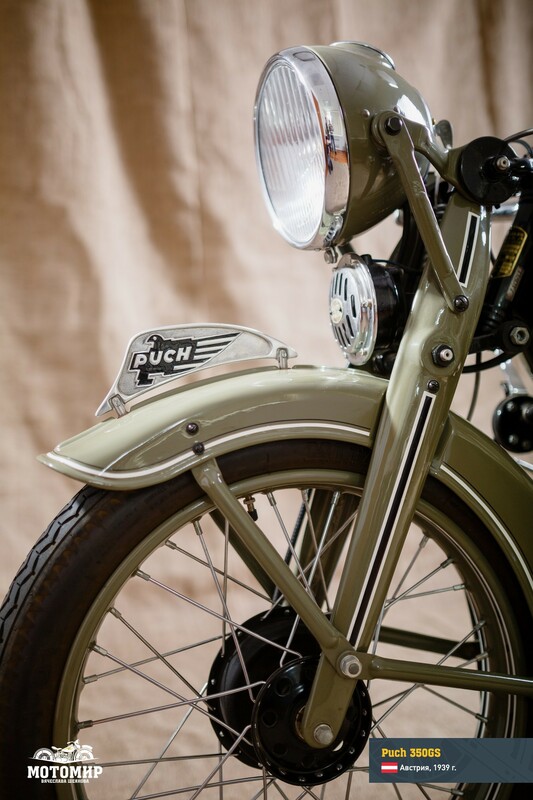 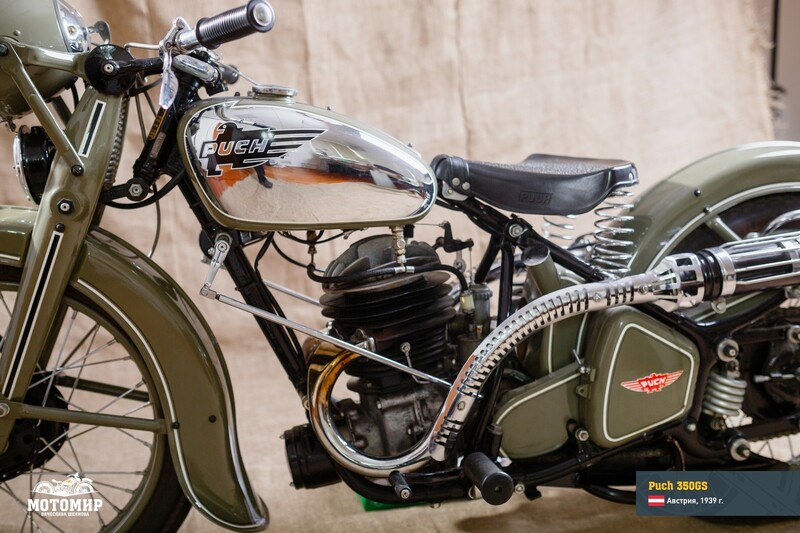 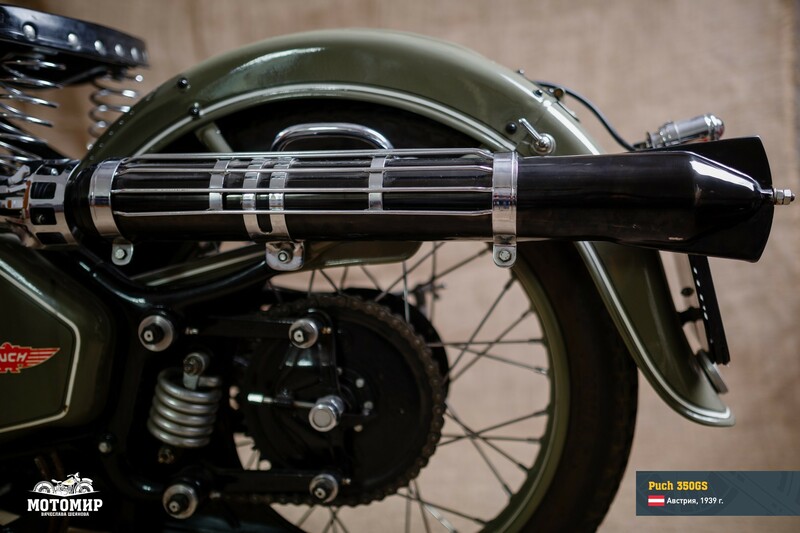 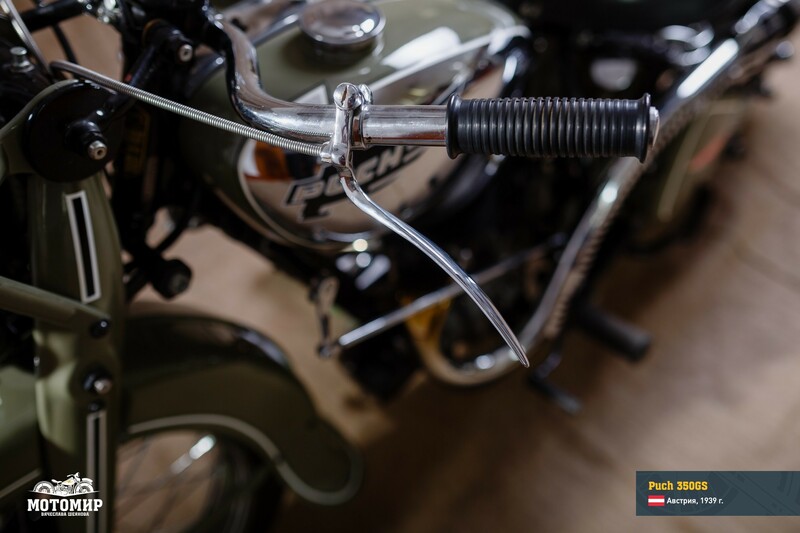 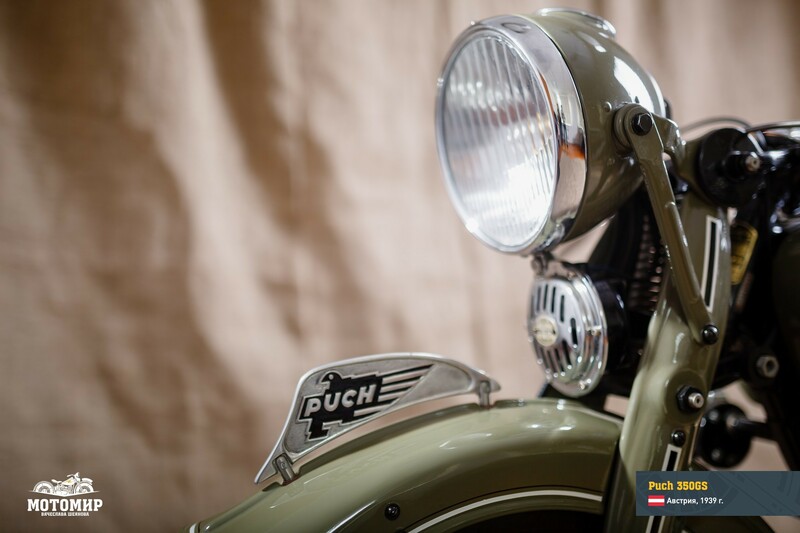 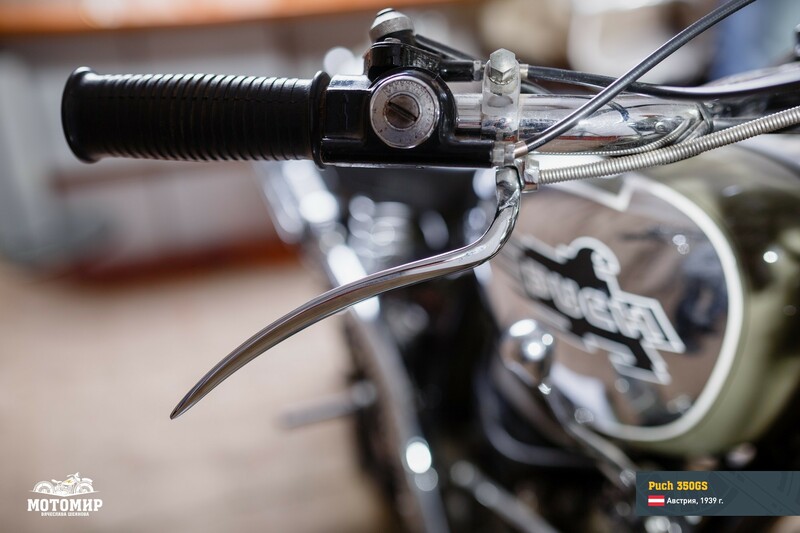 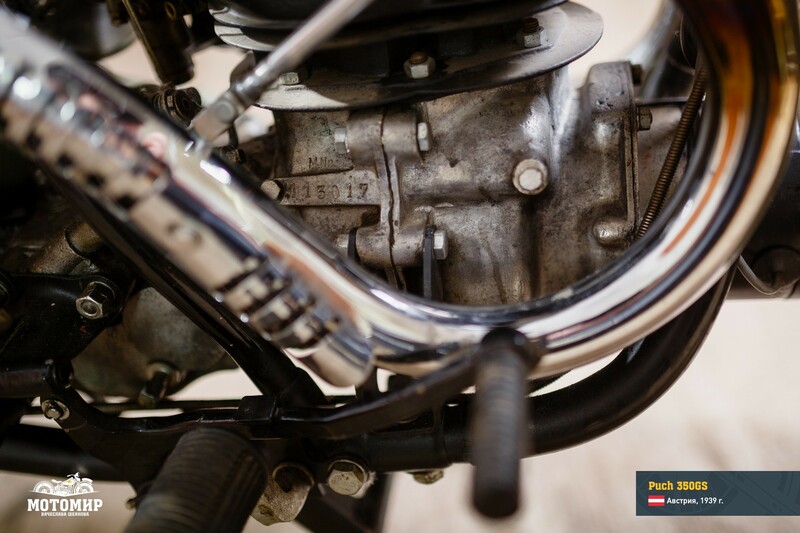 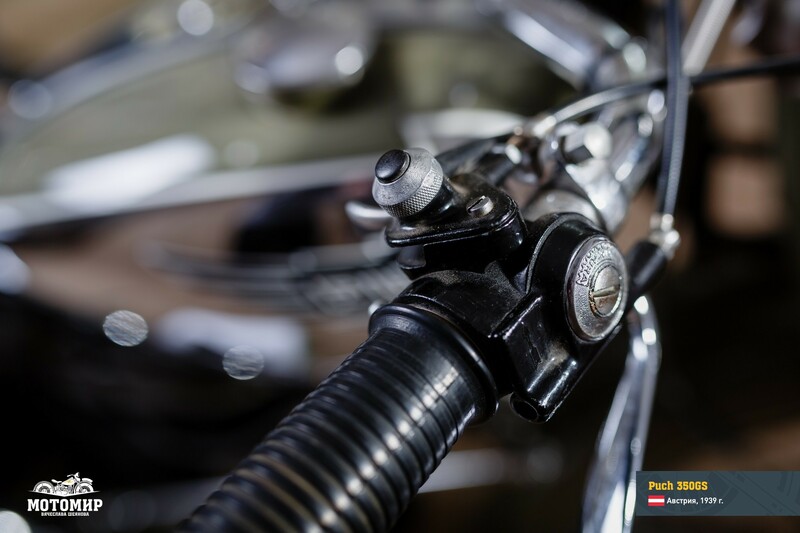 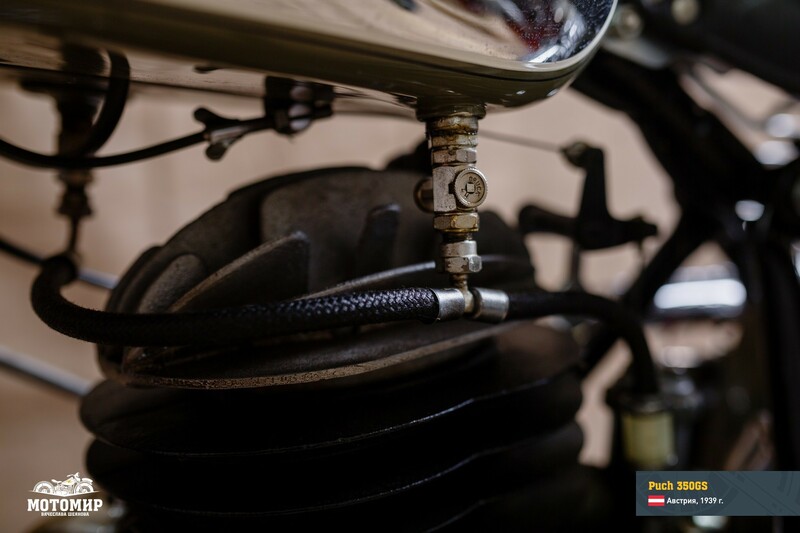 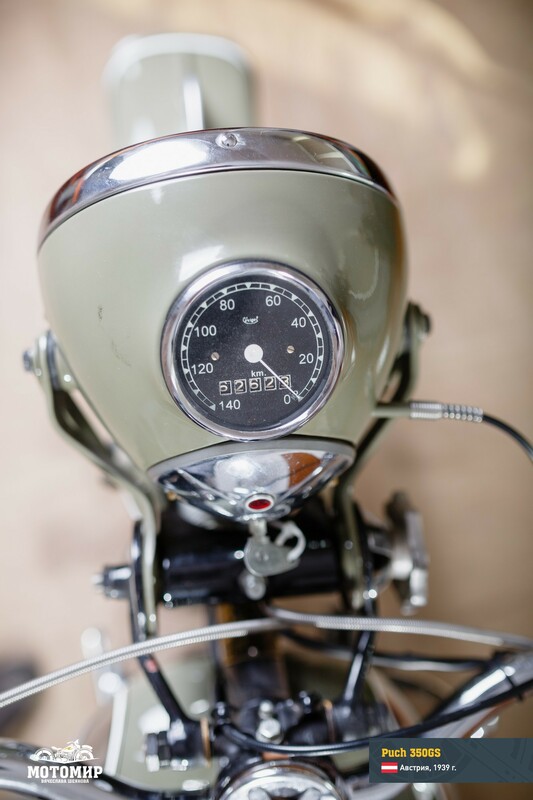 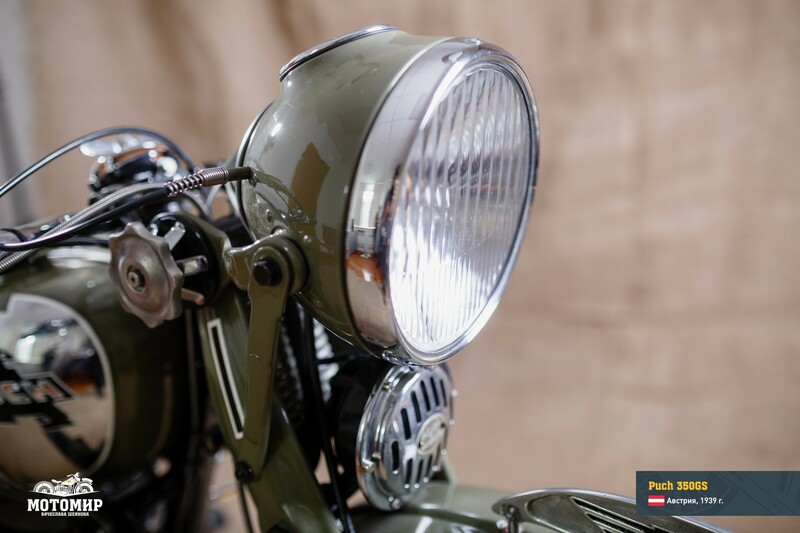 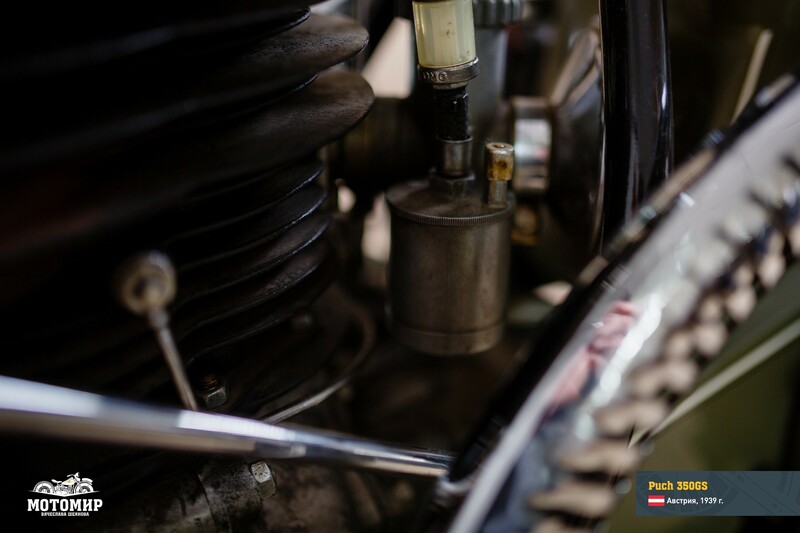 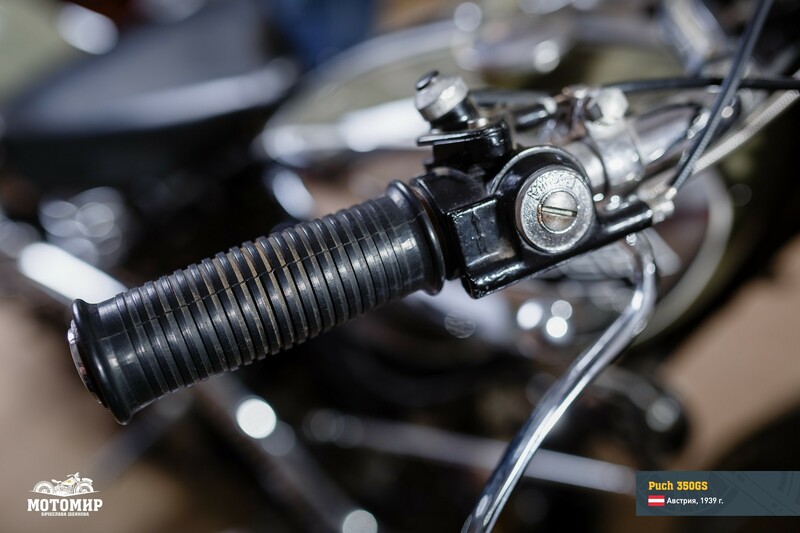 In 1938, the Steyr-Daimler-Puch AG consortium started the production of the Puch 350GS motorcycle (the GS in the model’s name meant Geländesport, i.e.  “off-the-road sports racing”). 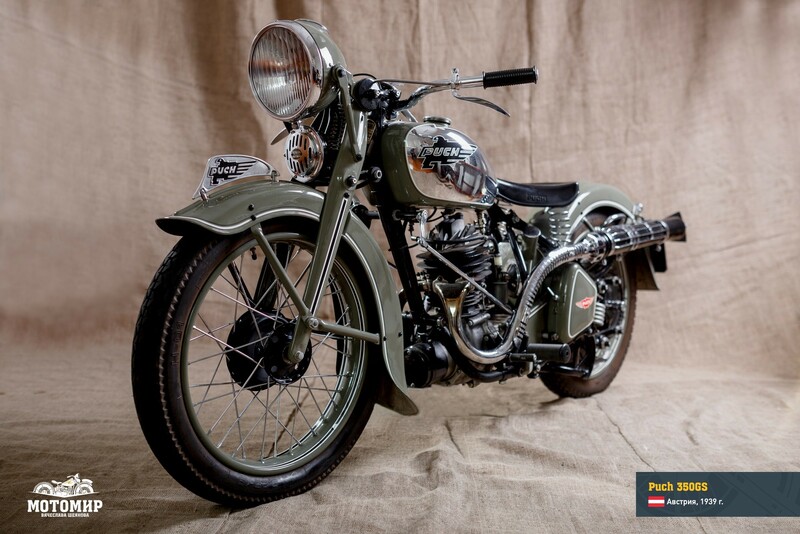 In practical terms, that was the first serially produced enduro vehicle. 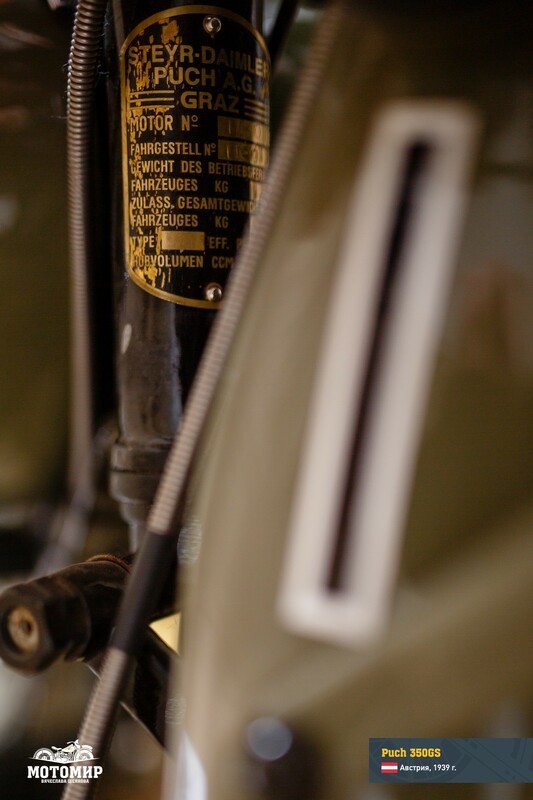 It came with a tubular duplex and the McPherson (or candle) suspension; the machine was also featuring a turned-up exhaust pipe. 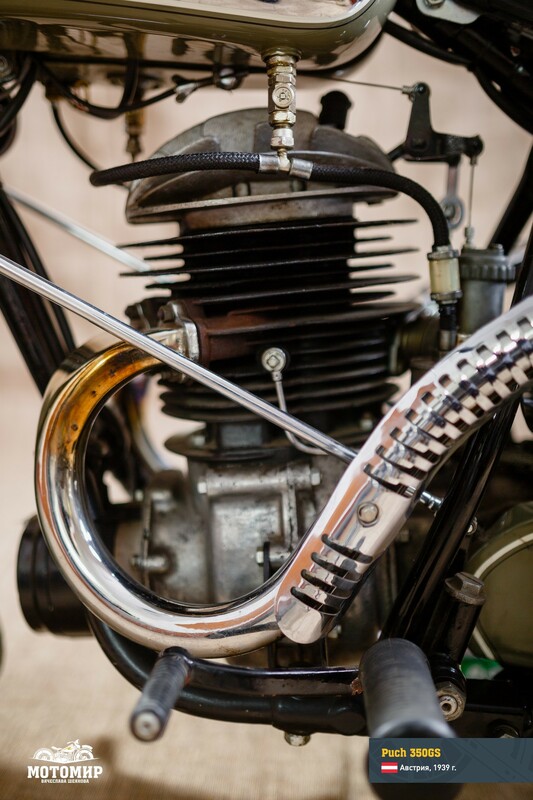 Giovanni Marcellino designed the engine for this motorcycle: a longitudinal U-shape cylinder and pistons with separate connecting rods. 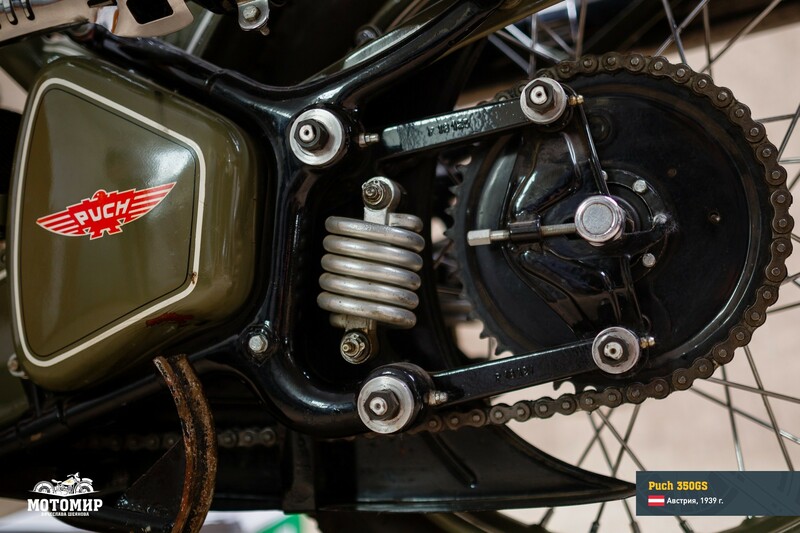 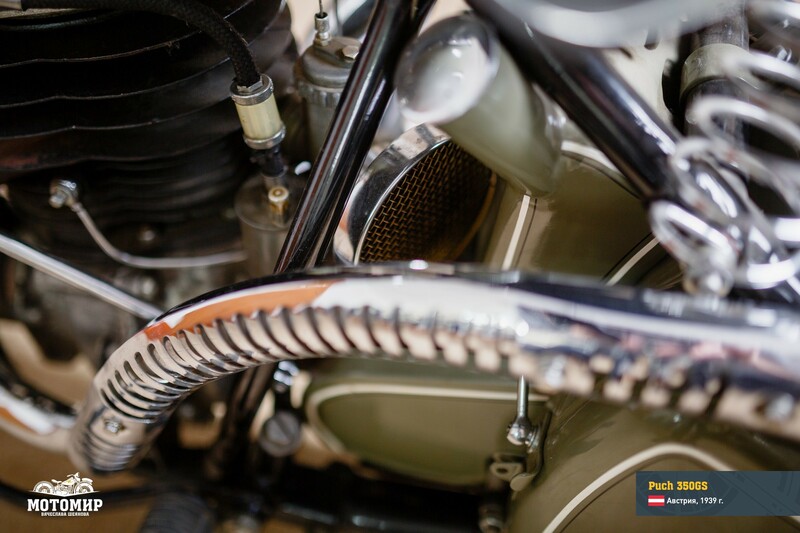 The transmission layout was kept from the preceding motorcycle models of this brand: longitudinal crankshaft, conical motor gearing, 4-step gearbox and engine clutch at the rear wheel center boss. 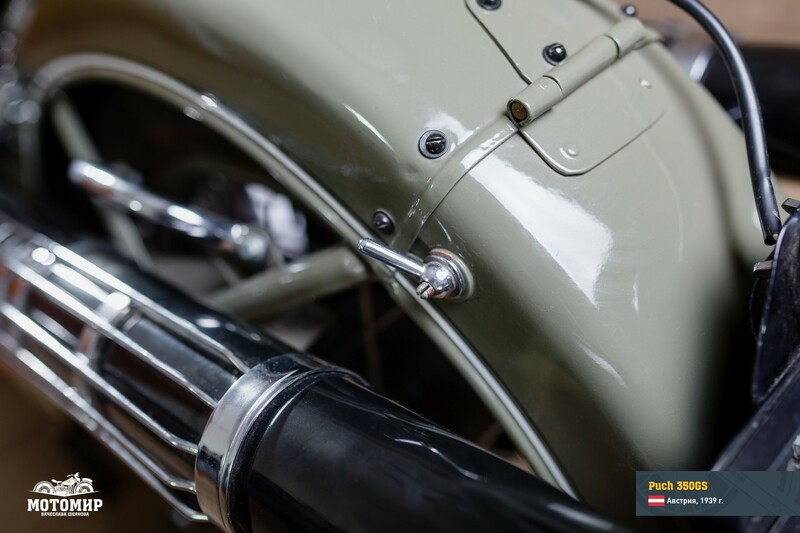 The initial engine version featuring cylinders of varied diameter (48 and 55 mm) could achieve 14 h.p., but after 1939 a simpler option was serially produced, with the cylinders of the same diameter (51.5 mm), developing 12 h.p. 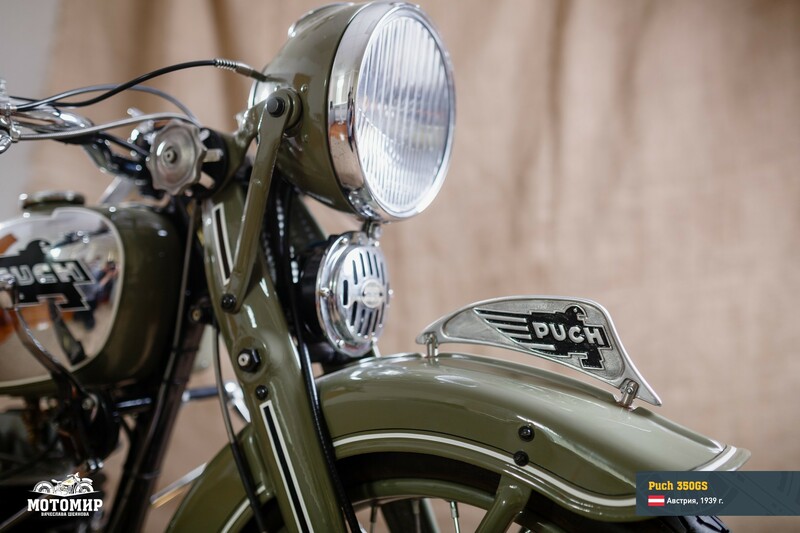 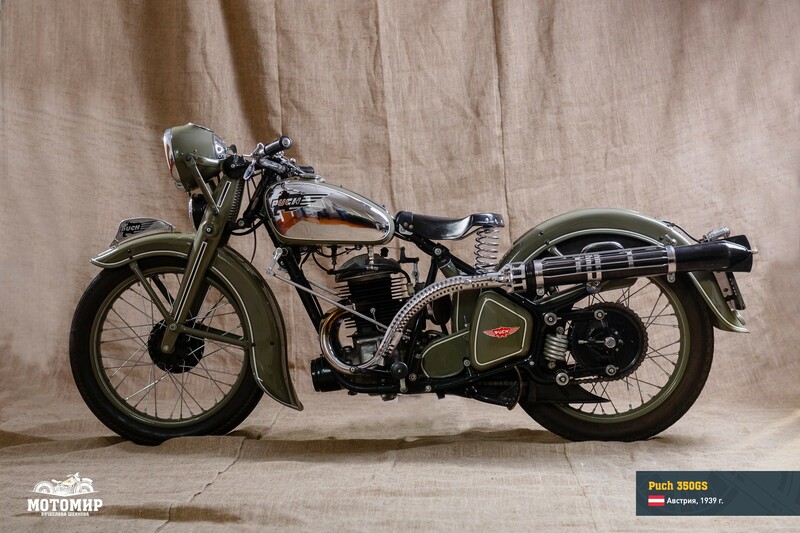 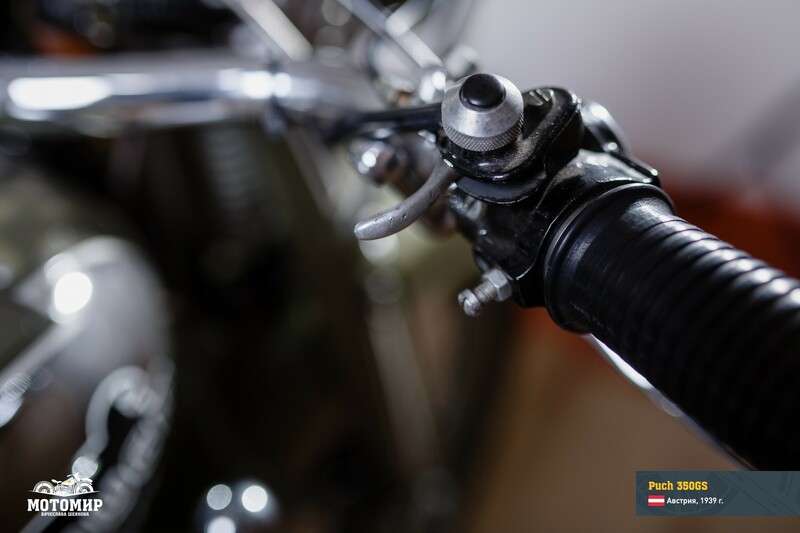 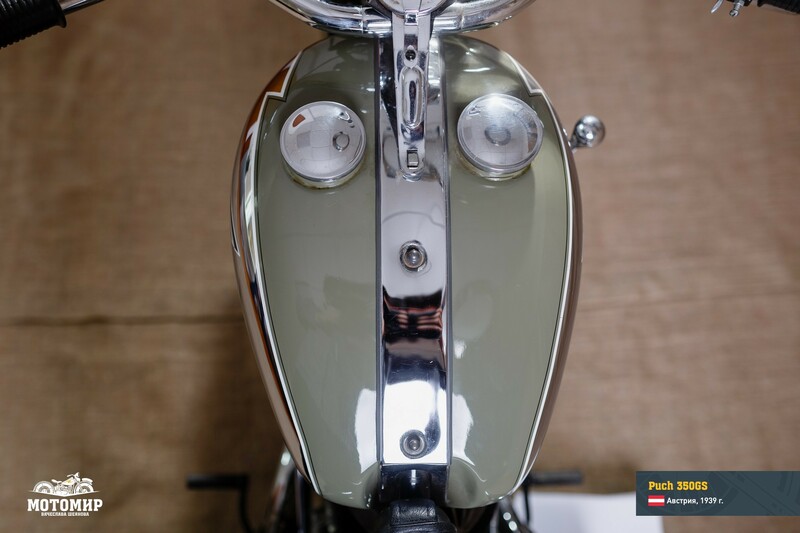 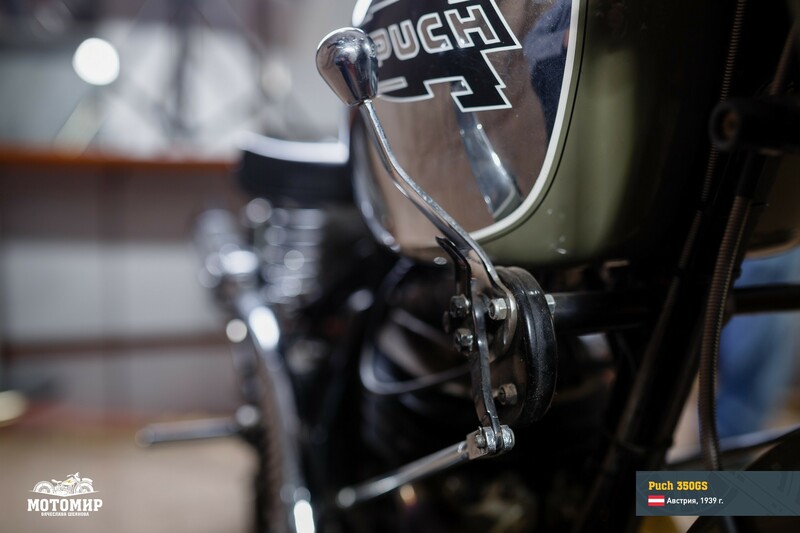 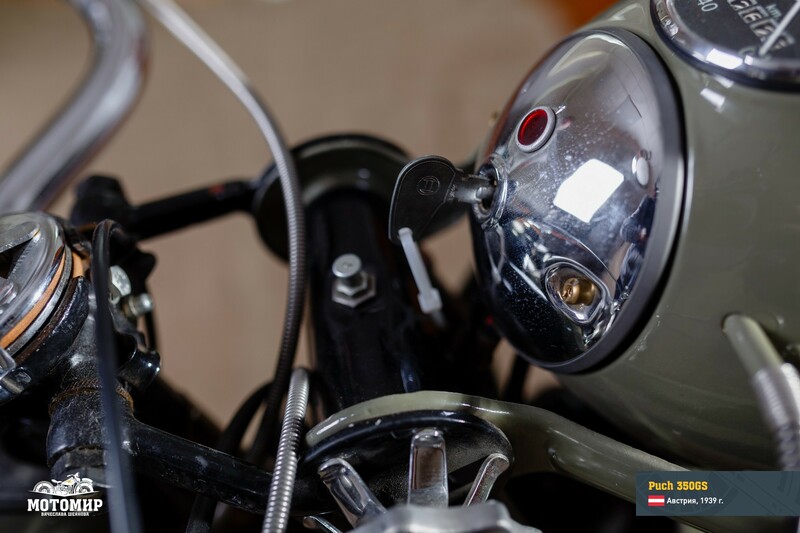 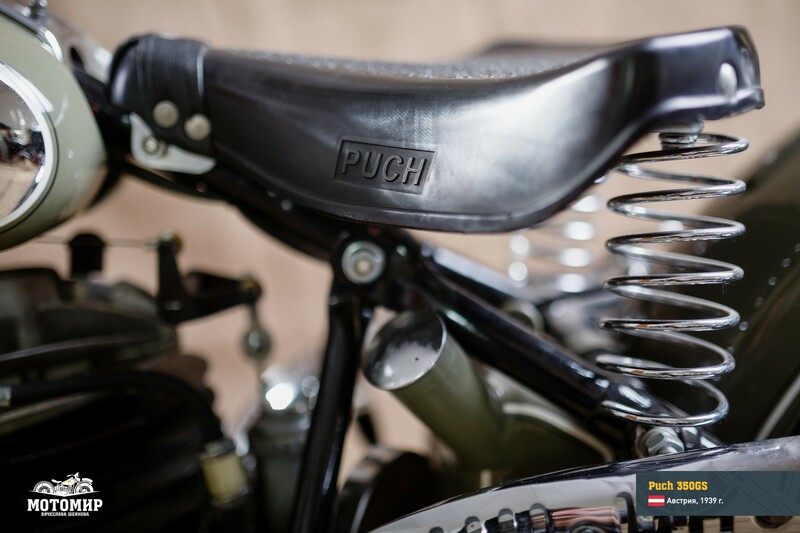 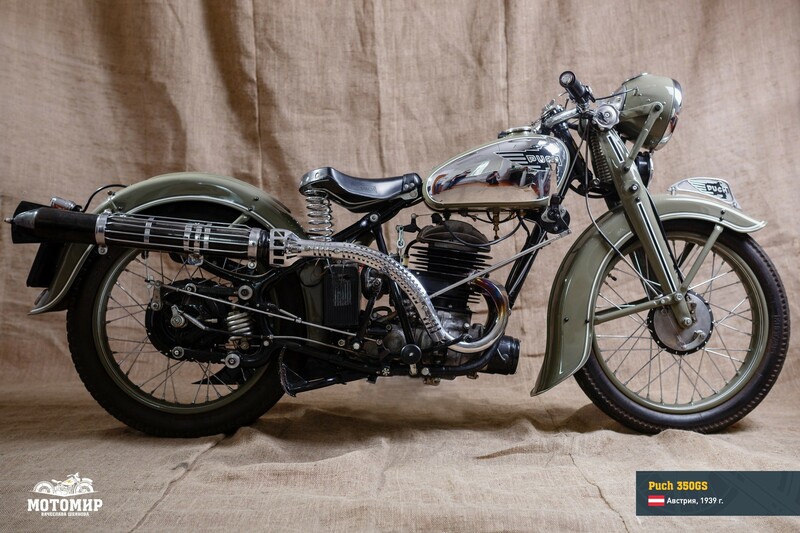 Puch 350GS became the last machine designed by Giovanni Marcellino: he left the country after the Anschluss (Germany’s takeover of Austria in 1938). 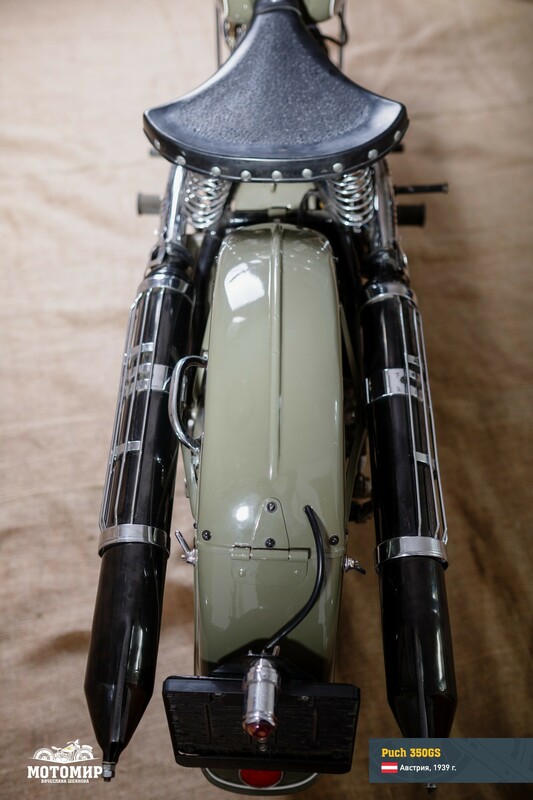 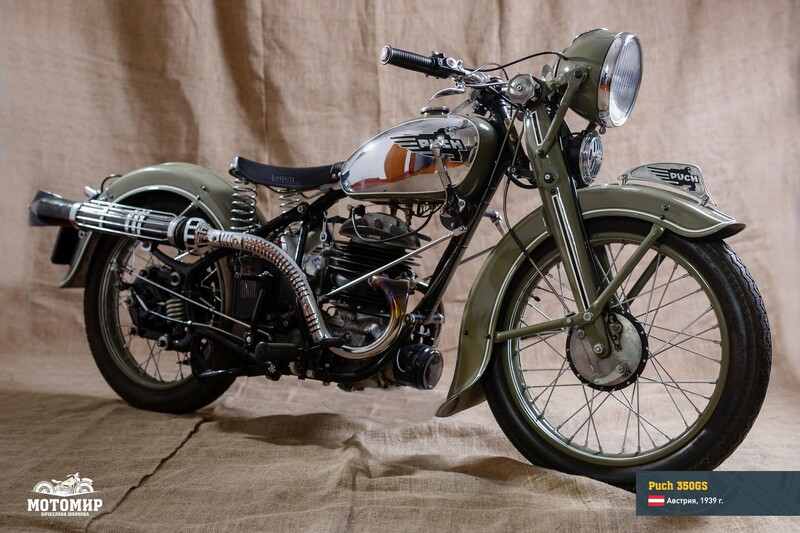 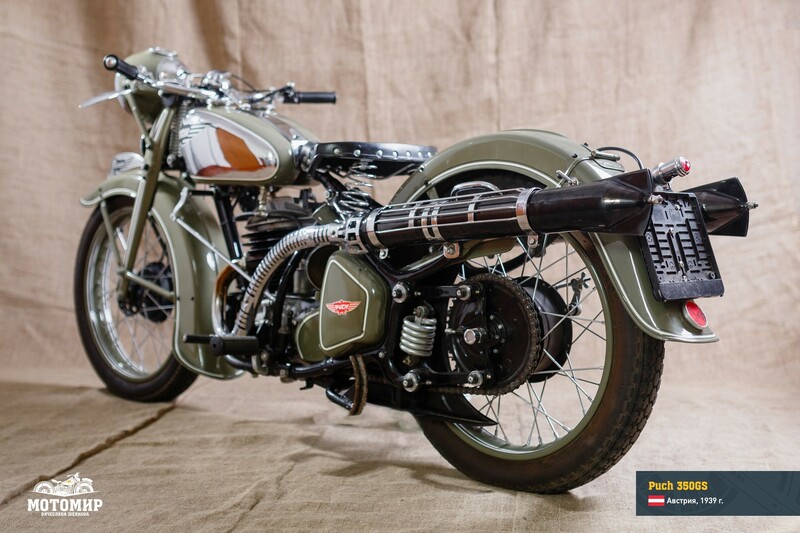 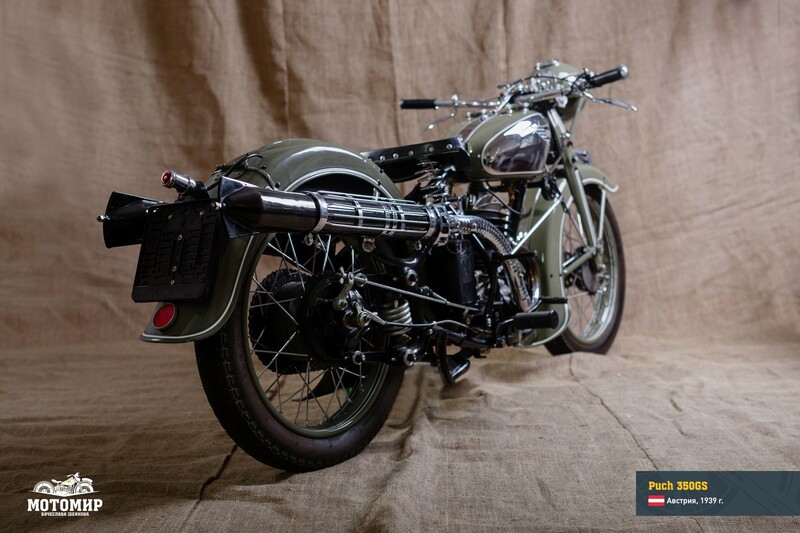 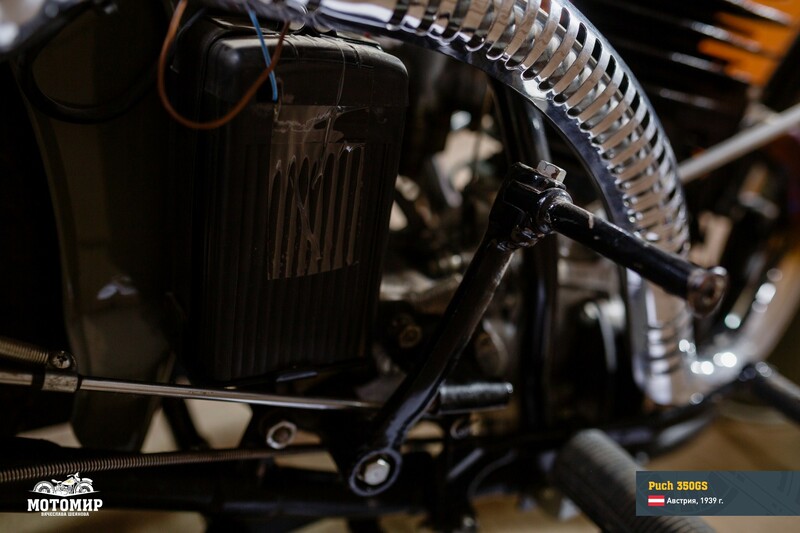 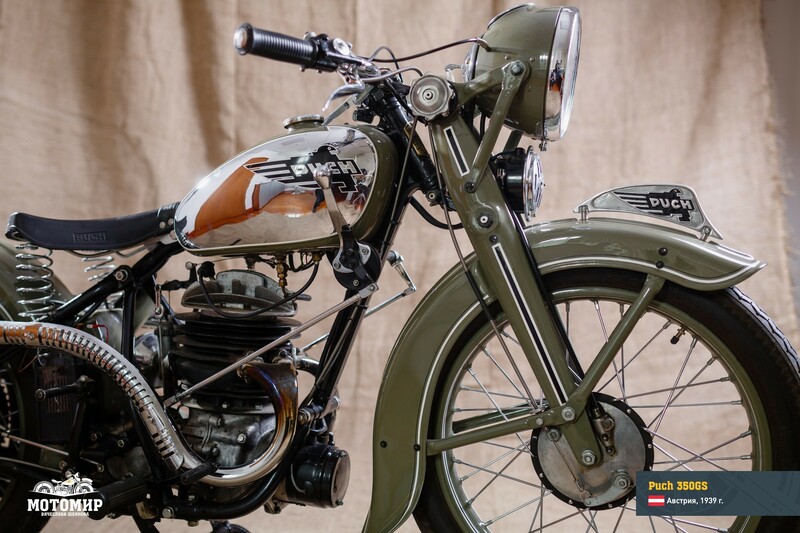 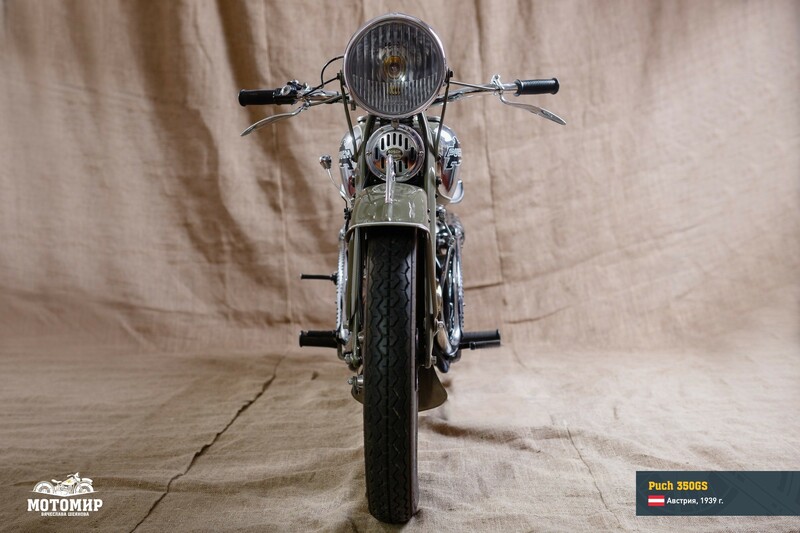 The 350GS could not emigrate, however, so it was called to serve the occupiers: during WWII a large number of these machines were delivered to the Wehrmacht troops. 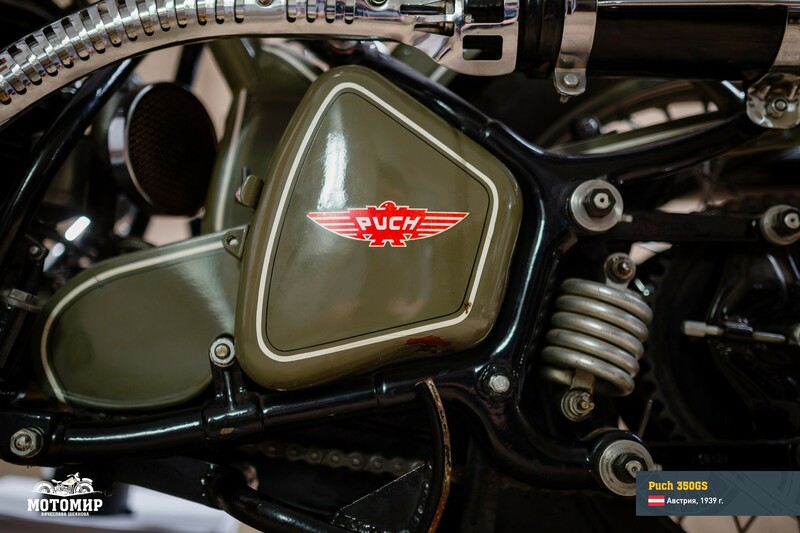 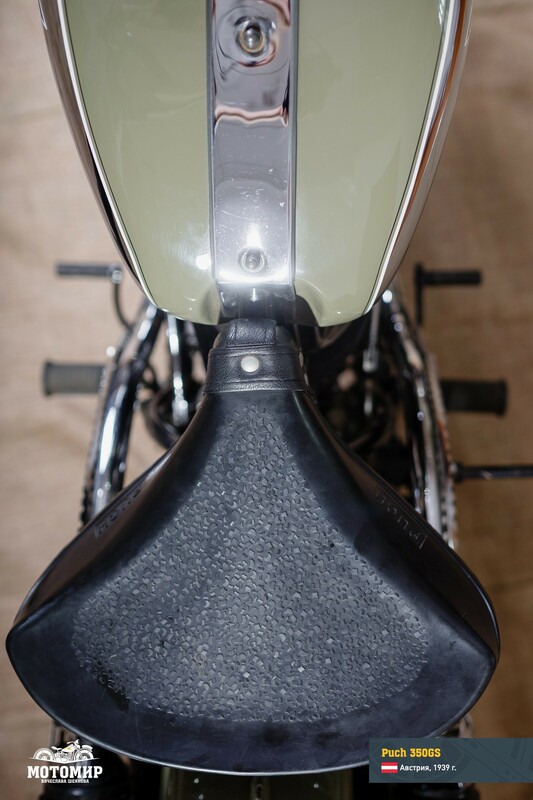 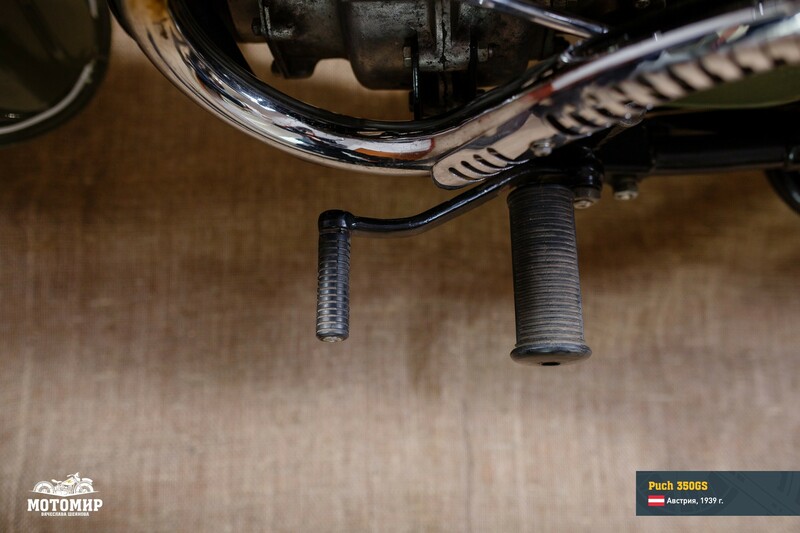 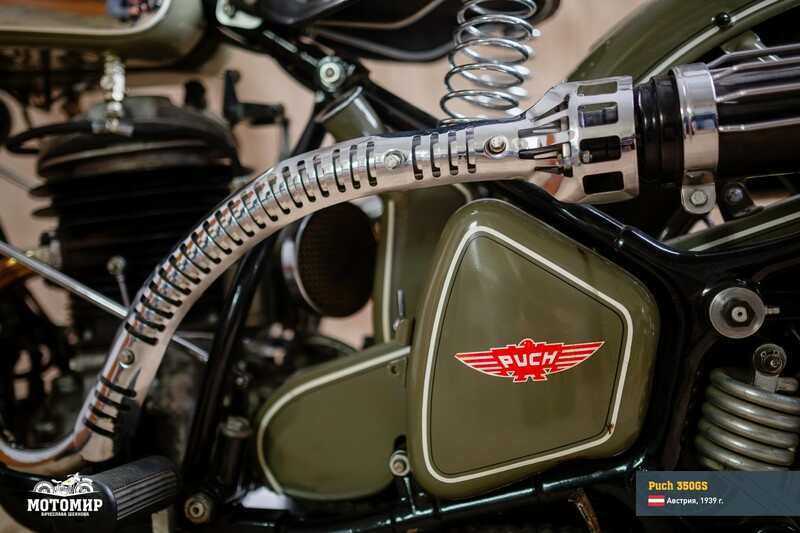 On order by the army the Puch 350GS motorcycles were also made in a simplified version: with a rigid suspension of the rear wheel and lower location of the exhaust pipe.